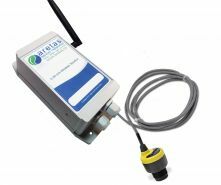 Ultrasonic liquid level monitoring system is a precise and reliable system that allows monitoring liquid levels in real time. This takes the place of having to check fluid levels at your facility or in the field manually saving time and money. Give your team the peace of mind that monitoring fluid levels remotely allows via our online analytics and alerting system, 24/7, worldwide. The ability to easily set alerts for any fluid level threshold you need, know what levels are anytime day or night. Set customizable reporting intervals to report as you need it such as once per day or per hour. Automation helps save on time, energy and cost. Review your data online for one or more locations anywhere in the world. Be alerted of possible fuel theft during ‘odd’ dates or times. A liquid level sensor can be installed on many different tanks and detect the level of a variety of fluids including Jet Fuel, Gasoline, Water, Oil, Diesel, Paints, and much more. 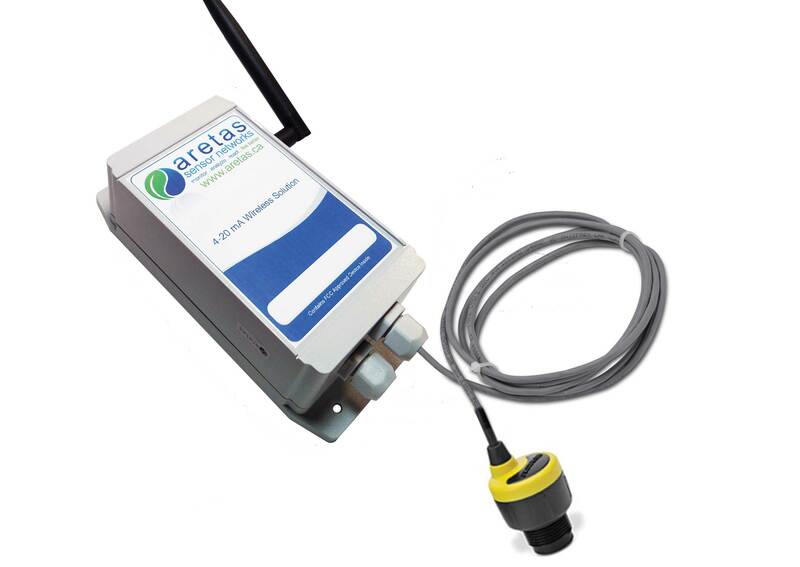 Combining remote data gathering technology with fluid level measurement devices has allowed Aretas to develop creative solutions such as a monitoring a remote jet fuel storage locations for a helicopter company client. There locations are fly-in fly-out and the tanks can only be ‘dipped’ manually once onsite. Live data provides another level of safety so helicopter pilots don't end up without fuel due to theft or miss-management. Additional examples include a fluid level monitor being placed on job-site portable tractor trailer fuel containers. And data usage can include cross-checking dispensing logs against actual levels to ensure accurate billing, supply and to reduce theft. Remote locations without access to standard utilities can prove a challenge when it comes to powering electronics. To address this need Aretas has integrated solar and battery backups for locations that do not have access to standard or reliable power source. Looking to the future, Aretas is working on remote sensing packages that include weather stations, video feed and fuel quality analysis. Contact your live Aretas representative today to discuss your needs and how we can deliver the all-in-one monitoring solution that is perfect for you. *Dead band is the minimum distance the sensor must be mounted above the max liquid level.